Disney In Concert. “A Tale Old As Time”. 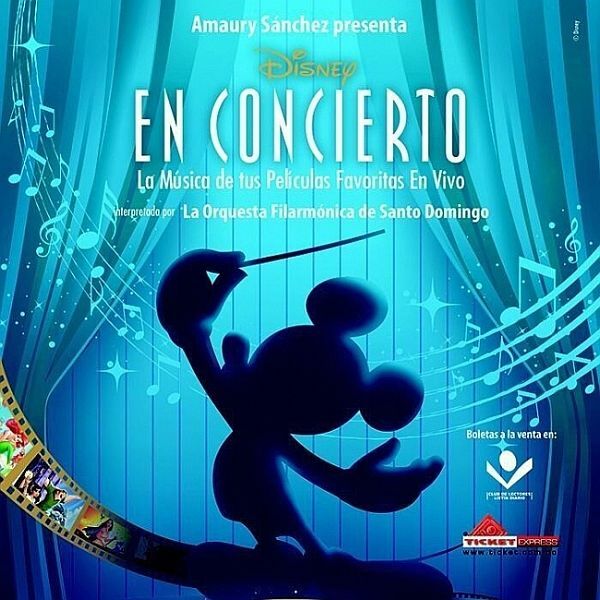 The greatest hits of all the Disney films performed by renowned Dominican artists Laura Rivera, Grupo Aura, Techy Fatule, Héctor Aníbal and Carolina Rivas to the accompaniment of the Orquesta Filarmónica de Santo Domingo / Philharmonic Orchestra of Santo Domingo, under direction of Amaury Sánchez. This show will be full of fun, surprises and a little magic. There will be interactive media, a grand light display, sounds, images, screens and Disney fun. This show for the whole family will be on Saturday 23 and Sunday 24 of November, 2013 at 7PM at the sala Carlos Piantini, Teatro Nacional in Santo Domingo. Ticket prices start at RD$800 and can be purchased at TicketExpress or the box office at the theater. Events concert, disney, fun, orchestra, teatro nacional. permalink.